Among the other findings in Gold's survey were: Only two people said they encountered any issues with security. Eleven people said the wait times to get food and a drink or enter the event were too long. Just three people described their parking experience that day as "difficult." 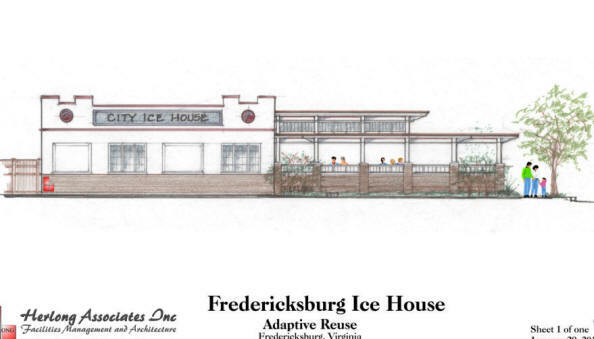 Almost everyone surveyed said that they had visited downtown Fredericksburg previously, and that they planned to return downtown.....". PRICE: $395,000; price subject to change without notice. 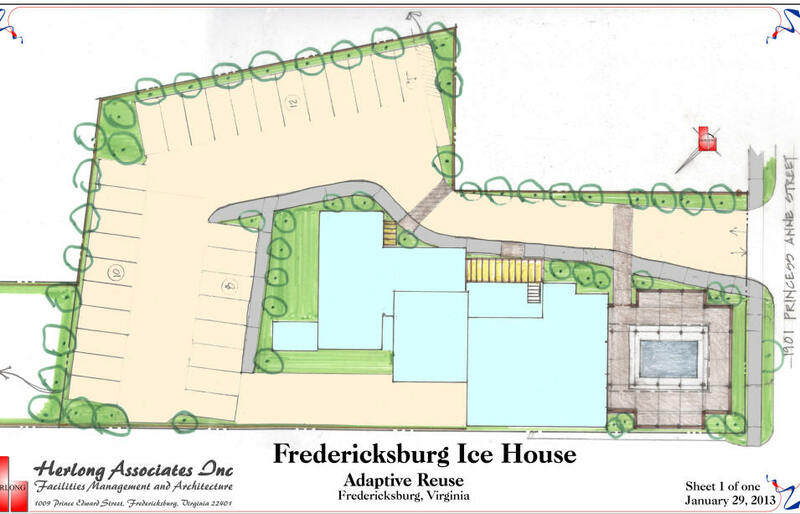 Why should the Ice Plant become a Microbrewery? 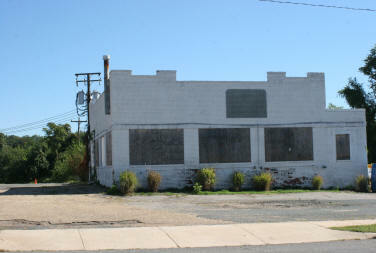 at left, photo of Old Dominion Brewery, one of the best. Fred Brew or Brew Fred ? Brew Burg or Burg Brew ? Microbrewery is generally applied to craft beer makers; they are generally small (under 6 million barrels a year), independent, and Traditional (see article at end of this web page). 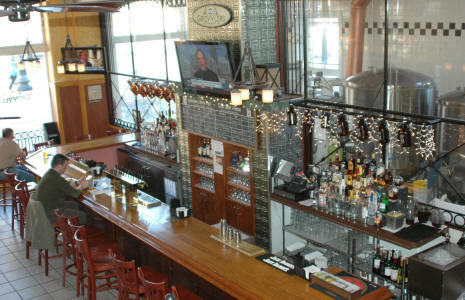 Brewpubs generally have a microbrewery on premises, are small, and serve food and/or provide entertainment. Above, is a concept rendering, side elevation of the property as a Brew-Pub, or microbrewery, or just a restaurant. The main brick building has no insulation on the walls or ceiling (except the cold box). Walls are exposed brick. Wood rafters support a flat roof, maybe skylights in future. The building can be easily adapted to office, retail, a combination thereof and/or other uses. The main building features large windows that can be used or covered over. Adaptive reuse is a win-win for everyone. The owner gets a property at a price less than what it would cost to being in a vacant lot in suburbia; the neighborhood is revitalized; local, state and federal governments benefit from taxes generated from increased economic activity. Above, at the top of the web page is a side elevation rendering. A photo of the existing conditions is followed by a front elevation rendering and concept of a layout. Overall, the concept is to use the land in front of the building. This concept features a patio with a large overhead trellis, which might become an enclosed heated/air conditioned space in the future. 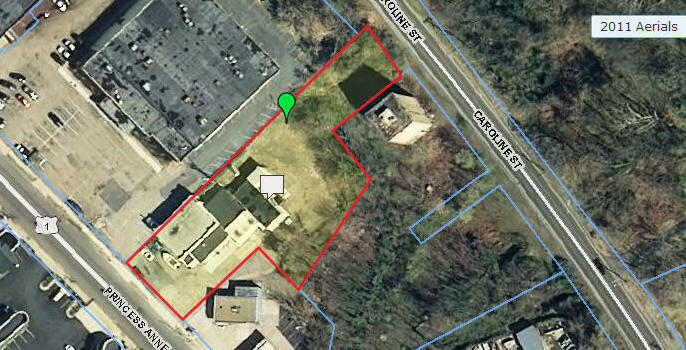 It is estimated that area is about 2,500 sq. ft. in size and would greatly increase the square footage to a total of about 7,500 sq. ft. 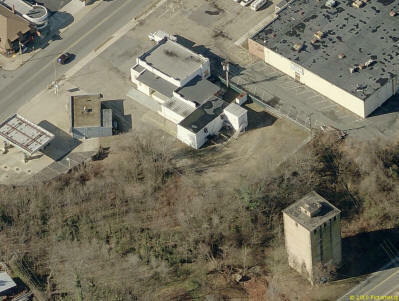 HOWEVER: in contemplation of removing cold box area and loading docks to create more off-street parking. The layout shows about 30+ parking spaces. Further refinement of the layout can accommodate how the loading dock would articulate to the new parking lot. The architectural renderings illustrate concepts that require further research, analysis and change to comport to zoning and building codes. 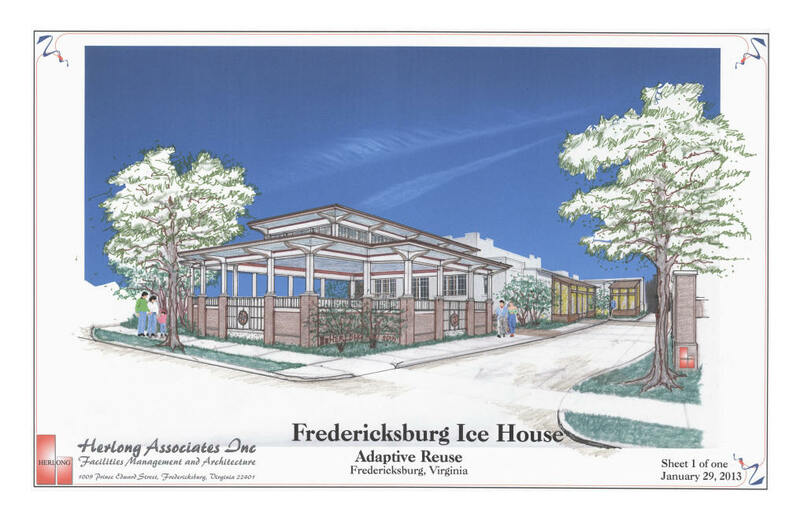 Recognition and thanks to the Environmental Protection Agency for the brownfields grant; The City of Fredericksburg Department of Economic Development and Tourism, One Environment Group (Richmond, VA), and Herlong and Associates, architects (Fredericksburg, VA). See Demographics at the first web page for population and income figures. How Can a Microbrewery Grow Your Local Economy? Everybody's into "buying local" nowadays. Why should your beer be any different? 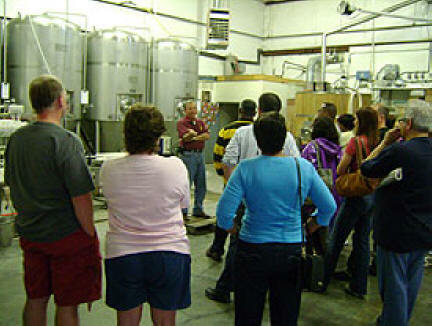 Microbreweries offer substantial opportunities for communities. Not only do they allow for re-using vacant space, they also create local jobs; attract new companies or expand existing ones; and increase the tax base. In IEDC's first web seminar of 2013, you will hear the academic, professional, and practitioner perspectives on how microbreweries help grow their local economies. One of several recent academic studies on the economic impact of microbreweries was completed by Scott Metzger of the University of Texas-San Antonio. Scott completed the study on behalf of the Texas Craft Brewers Guild, where he is also a member of their Board of Directors. Scott, in addition to being a well-respected economist, is also the owner of the popular Freetail Brewing Co. in San Antonio. He will share with attendees his extensive knowledge related to the economic development impact of microbreweries, experiences opening a brewery, as well as his advice for how best to nurture microbreweries in your community. Our second speaker will provide the economic developer perspective. Ben Teague, Senior Vice President of the Asheville Area Chamber of Commerce and Executive Director of the Asheville, NC-based Asheville Economic Development Coalition has years of experience working with microbreweries in his community. 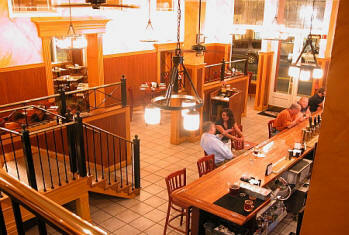 Asheville, NC, current holder of the title 'Beer City USA,' is home to 11 microbreweries. They also recently secured deals with larger craft brewers New Belgium Brewery (Colorado), Sierra Nevada Brewing Co. (California), and Oskar Blues Brewery (Colorado) to invest hundreds of millions dollars in the Asheville-Buncombe County region of North Carolina. Ben has previously been a featured speaker on the subject of microbreweries and will share with participants his experience in working with local microbrewers and larger craft breweries and the impact they can have on the broader community. • Hear from the perspective of a microbrewer, the steps that an economic development professional can take to attract and support microbreweries to their community. • Learn from detailed new data that supports the strong economic impact of microbreweries, including growth potential, job creation, and growth in tax revenue. • Understand the importance of place-making in nurturing microbrewery growth and how to capitalize on the success of microbreweries in your community. • See how buzz created from local breweries can impact everything from tourism to research at your local university; lessons learned by our experts can help you as you explore microbreweries potential in your community or look to capitalize on those already pouring pints and growlers. 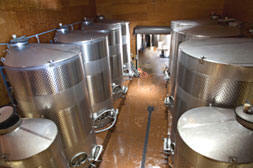 Craft brewers sold an estimated 11,468,152 barrels* of beer in 2011, up from 10,133,571 in 2010. Overall U.S. beer sales were down an estimated 1.3% by volume in 2011, 1.2% in 2010. Overall U.S. beer sales were approximately 199,937,239 barrels and imported beer sales were 27,238,339 barrels in 2010. 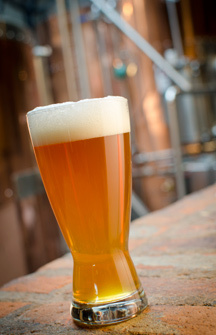 1,989 total breweries operated for some or all of 2011, the highest total since the 1880s. 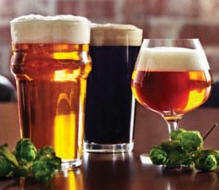 Growth of the craft brewing industry in 2011 was 13% by volume and 15% by retail dollars. How big is the US beer market? Selling 199,937,239 barrels of beer. 2 half-barrels (15.5 gallon) kegs = 13.78 cases (of 24 12-ounce bottles). See Craft Brewer Defined for more details on industry definitions. Media should contact Paul Gatza, Julia Herz, or Barbara Fusco at the Brewers Association for more information. 1.888.822.6273 or +1303.447.0816. Comprehensive reports and analysis will be printed in the May/June issue of The New Brewer, The Journal of the Brewers Association, released in mid-May each year. 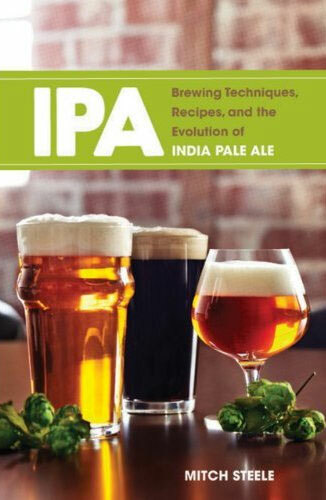 The issue can be purchased directly from the Brewers Association by calling 1.888.822.6273, +1.303.447.0816. The majority of Americans live within ten miles of a craft brewer. Please note: Owner is a licensed real estate agent in Virginia. Notice: Purchaser is cautioned and urged to investigate any and all information and circumstances. Information contained in this web site and links is not guaranteed in terms of accuracy and/or scope. "CCIM" Certified Commercial Investment Member; "AICP" American Institute of Certified Planners, American Planning Association; "ALC" Accredited Land Consultant, Realtor Land Institute.